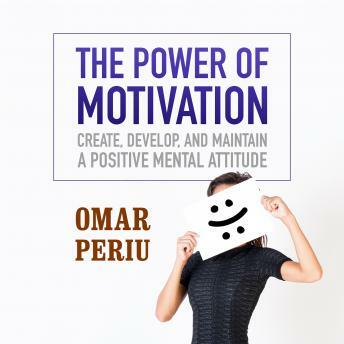 Maximize your future success by harnessing the power of motivation. A key ingredient of motivation is confidence. To develop more confidence in yourself and to help others develop confidence, it's critical to pay attention to mental input. What are you allowing to enter your mind each day? When you not only pay attention to this but control it, you'll automatically fast-forward your success.Build a better self, team, and company with this sensational motivational program. Eliminate the habit of constantly judging others and letting outside forces determine your attitude. Get motivated, and stay motivated throughout each and every day.In The Power of Motivation you willgain the confidence to face your fears and kick counterproductive habits;build a better self, a better team, and a better company by implementing powerful motivation strategies; and learn to manage your mental input for success.